It is time to launch out, into deep uncharted waters. 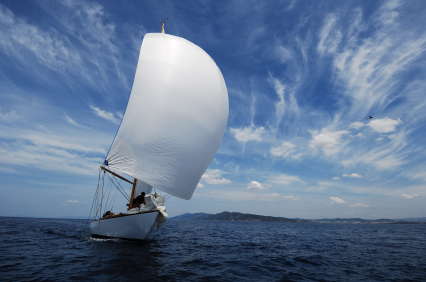 Put your sail up and let it catch the wind of the Holy Spirit. Trust him, to direct you, to a safe landing, today. Leave behind the familiar doubt, fear and unbelief, while you allow him, to take you to new vistas! « You Are Extremely Valuable! Awesome words of perfection and truth. Learn to hold on to Him for He knows everyone and everything. Great post. Praise the Lord! We can’t go wrong when we trust and hold to him! Going where I have never gone before! Count it all joy and let it have its full effect!